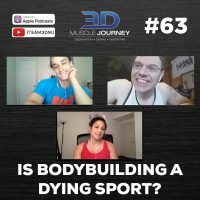 #63: Is Bodybuilding a Dying Sport? You are here: Home / Podcast Episodes / #63: Is Bodybuilding a Dying Sport? For some this question will come as a total shock. For others, it will align with very similar thoughts and concerns they’ve had themselves. In today’s episode, Andrea, Brad and Alberto discuss the “lifestyle” as well as the division of bodybuilding. While it’s quite clear that the bodybuilding “lifestyle” is growing, what is happening to the actual sport, specifically, the division of bodybuilding? The group touch on some of the different factors which they feel may be contributing to the downsizing of the bodybuilding division. Some of these include: prevalent influencers, show dilution, difficulty, new divisions, and more. 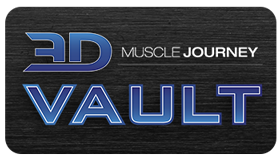 Do the coaches feel that the division of bodybuilding is truly downsizing, or is it just a perception? Tune into this week’s episode to hear more.